Hailing originally from Australia and most recently working in China, Andrew joined PH Family with over 25 years of experience in hospitality. A graduate of the prestigious Ecole Hoteliere Les Roches in Switzerland, Andrew began his international journey in Hong Kong as part of the pre-opening team of the Group’s flagship propety the Island Shangri-La, spending almost 16 years with the Shangri-La Group. 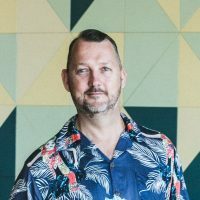 Andrew’s career has brought him to work in many other places globally, including Hangzhou, Xian, London, Koh Samui, the Great Barrier Reef, Taipei, Jakarta, Kota Kinabalu, Shanghai, New Delhi and Sanya. Andrew’s passion is to nurture talented individuals and he believes strongly in developing and training both local and international staff, as well as in delivering a calm and hands-on leadership style to guide his management teams to greater heights. Andrew’s varied and drilled down experience in all aspects of the hospitality industry plays an important role in the expansion plans of the business, and will prove particularly useful in the successful openings of PH Family’s three planned hotel properties.